Win 500.00 Party Package full details on the blog www.iovepartystyle.com Share your party & Win. confetti in a Photo Booth. The pictures end up priceless! Q: We are convinced Confetti is making a huge impression in the party industry and will be popping up everywhere in 2015 with The Confetti Bar leading the way, What do you see in the future for The Confetti Bar? A: I like to think that the possibilities are endless, but I must say I am already extremely blessed to be able to make confetti for a living. If I could spend the rest of my days doing just that, I think I would be a very lucky girl. But of course I have dreams of expanding my confetti offerings and being able to produce more while still keeping true to my handmade, custom, & unique mixes. photo booths are usually at the top of my list for any event. They are all versatile and leave a lot of room for customization. Q: What is your all time favorite blog? A: Ooh…that’s a tough choice. I love so many and am inspired by all the creatives behind them. 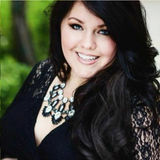 But I do find myself completely in love with my dear friend Madeline’s site, www.ohmygemini.com. On her blog she writes about anything and everything, from projects and travel, to recipes and personal tidbits. She somehow seems to be able to capture all of life’s random thoughts in the most beautiful, succinct, and inspiring way. around with no real plan or place to be. Q: Where do we get more Confetti Goodness? Online in person ? A: While I do attend some local events & fairs, for now most of what I do can be found online. My blog, blog.theconfettibar.com, is also a place where I try to provide lots of confetti inspiration! Smith Apples and a small canvas signs. The brunch was set high on a hill overlooking the golden fields. The girls tossed oversized bouncy balls around and enjoyed the marvolus day. It’s a Ladybug Girl themed party! The Ladybug Girl, by David Soman and Jacky Davis, is a delightful story for children to use their imaginations and to build teamwork. The Ladybug Girl and it’s series has been a family favorite amongst my girls. I knew it was only a matter of time before I would create a party based on their favorite bedtime read. trusty dog, “Bingo” who was in the midst of all the fun! In large bowl of stand mixer combine the egg whites and vanilla and beat until frothy. Instructions Add confectioners’ sugar -Combine all ingredients, except ice cubes, in gradually and mix on low blender. speed until sugar is incorpo-Blend 1-2 minutes , adding ice cubes one at a rated and mixture is shiny. Turn speed up to high and time, until smooth beat until mixture forms stiff, glossy peaks. This should take approximately 5 to 7 minutes. Add food coloring, if desired. For immediate use, transfer icing to pastry bag or heavy duty storage bag and pipe as desired. If using storage bag, clip corner. Store in airtight container in refrigerator for up to 3 days. Each place setting was adorable!, each with polka dot stamped woodern cutlery, PJ matching printable tag tied on to a contrasting favor bag with cute bakers twine. square plates with big whimsical polka dot napkins and wilk bottle glasses with printed labels to match the theme. There are many bakers and cookie artist across the USA. Many can be found on our party pages or on ETSY. We recommend researching amazing cookie artists and having thier number close to create custom sugar cookies like these, that will go with any party theme. Each chair was adorned with satin pastel ribbon chair ties. The table was draped with a mini custom made ruffle table skirt to mimic that of the dessert buffet. thing in life that we can always count on for guidance, friendship, support, and unconditional love. There is nothing that they would not do for their children, and for that we need to celebrate their love not only on Motherâ&#x20AC;&#x2122;s Day, but everyday. paper products helped offset the printables. We mixed polka dots, chevron, and striped patterns in pinks, purples, greens, and blues to create that festive and fun party scene. Everything, other than serving pieces used in this party was disposable, perfect for those hard-working mothers. the usual football decorations, we purchased NFL window clings to decorate candy jars. Shabby sisters made an adorable distressed wooden sign & Shontay had the perfect wreath to tie it all together. hen it comes to gorgeous cookies - I am happy to support Sweet Themes. They totally outdid themselves. Marshmallow pops decorated as footballs (on skewers from Party City) gave us the football element. No Seahawks party is complete without Skittles candies. A staple at any grocery store you would think....but fans here are so enthusiastic, they were hard to come by around the Superbowl! Seahawks player Marshawn Lynch eats them before every game, and they have become a game day neccessity around here. They even have a burger at the stadium that is served with a side of skittles! had to use them. I had a friend cut out vinyl for me & turned them into Seahawks cups. Add a printable flag from PartyOn!Designs and they were a hit & a favor all the tweens could take home. Munchies included chips, popcorn in adorable favor boxes from Banner Events, and a few other items. We stamped footballs on cups from PartyOn!Designs to hold our veggies. It was a fun Birthday party that could easily be twisted into a game day party or tail gate. such a great team. I really appreciate all of their hard work. A special thanks to all of our family and friends who drove in from out of town to attend the party. That means a lot to us. Happy Birthday Baby Bear! I can’t believe you’re 4-years old already. We love you! strawberry-shaped sugar cookies, the strawberry-flavored candy bar, cupcakes topped with strawberries, and a beautiful strawberry pink ruffle frosted cake. Happy pink & red polka dot balloons are tied to back of each chair and bright red flowers add another pop of color in galvanized buckets, serving as the table centerpieces. And no picnic is complete without a perfectly packed lunch in wooden strawberry baskets with refreshing strawberry lemonade in mason drinking glasses. Makes for a fabulous summer birthday or a “just-because” afternoon picnic. It’s a berry sweet soiree that’s extra juicy & delicious! Baby Shower Our “Bless this Nest” baby shower is meant to inspire the start of a beautiful spring and new beginnings A casual relaxing atmosphere was provided where you could sit and enjoy spring with your loved ones, breathe in the fresh air and embrace the idea of new possibilities! Classically beautiful Easter pastels, decedent chocolate candies, soft ruffles and plenty of sweet Easter themed treats all brought a sunny Spring feel to this darling and oh so sweet Easter Party. fections; which included gorgeous mini Easter tea cakes, Faberge inspired mini egg cakes in porcelain egg cups, medallion sugar cookies, Easter egg inspired sugar cookies, bunny and chick cake pops, chocolate dipped Sixlet Oreos and a variety of Spring inspired candies including chocolate bunnies, foiled eggs, Sixlets, gumballs and more! Fresh hydrangea and Easter moss added soft, garden feel to the tables by bringing a touch of the Spring weather indoors. pedestals topped with adorably delicious chocolate bunnies, the table truly delighted our tiny diners. Each chair was adorned with satin pastel ribbon chair ties. The table was draped with a mini custom made ruffle table skirt to mimic that of the dessert buffet. This sweet, fresh Easter soiree truly had us ready to welcome Spring! that is looking to throw an all-out amazing party for their child with no expense spared, I’m not shopping at those stores. I’m creating one of a kind, handmade details and purchasing the best of the best. But if you’re on a budget (which most moms are) there is no reason you can’t throw an adorable party using items you scored at discount stores. It just takes a little more creativity and out-of-the-box thinking. I can help you with that! 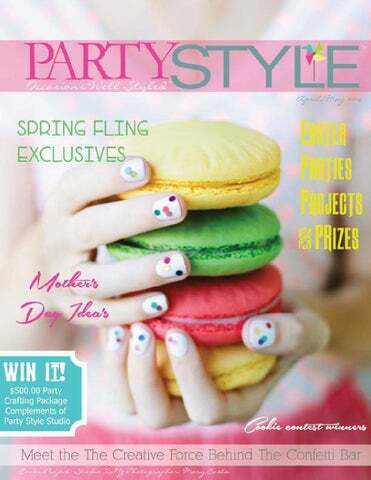 Click here to find the 4 major tips I used to create this “Hop Into Spring” party on a budget. But first, let me break it all down for you. fore you roll your eyes think about this… This party cost $75! And the best part is that you can invite as many kids as you want because the cost for each child was just under $10! Below, I have a breakdown of how much each item cost as well as pointers on what to splurge on and why.